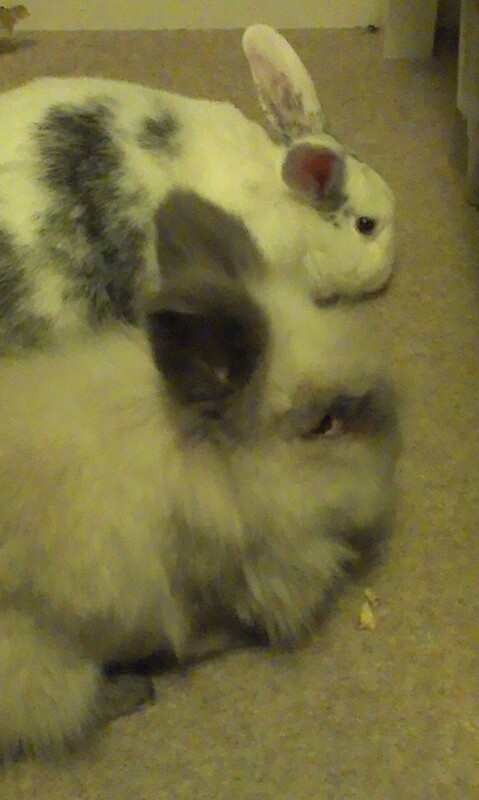 As my username suggests I'm Lizzy and I'm a bunny-mummy to 2 lovely buns called Bobby and Becky. 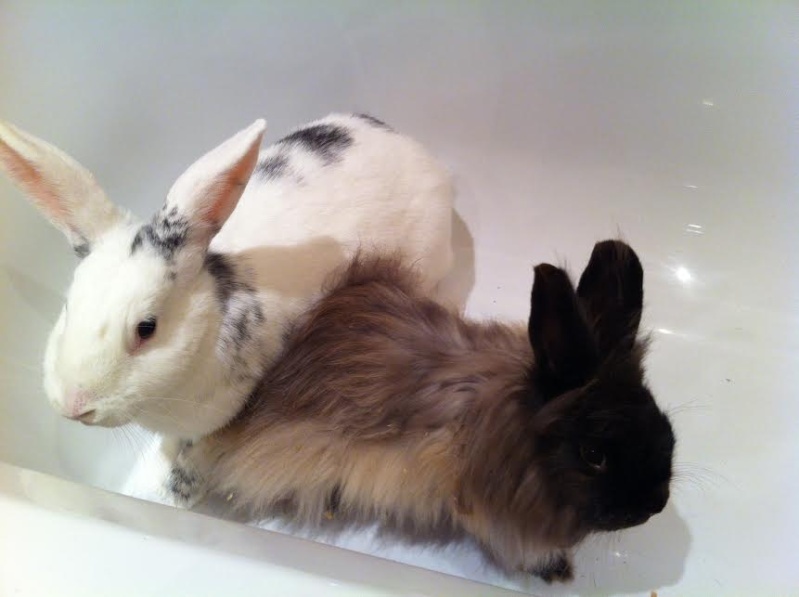 Bobby is a 4 year old grey Mini Lionhead who I've had 3 1/2 years. Becky is a white Dutch Rex x who is now 15 months old and has been Bobby's companion for nearly a year. They live in a 4 storey mansion, as house bunnies with me and their daddy Alex in our flat in Derby. Apart from Chocolate Bunny Buttons and Banana Chips their favourite food is Cavelo Nero and when they're not having a nap Bobby's alter-ego is a superhero called Bunny-Boy whose never without his side kick Girlie, and together they go on many adventures that usually end up getting themselves in trouble. I work in IT support for a school, and love all things bunny or craft related. I'm so pleased to have found the forums with other people who are as mad as I am! Does anyone know if there are any hopper groups in the Derby/Nottingham area? Hello Lizzy, Bobby and Becky! Welcome to Happy Hoppers! Love the photo! What a Super Cute couple! Look forward to chatting more! A warm welcome to HH to the snug bunny couple and the hoomins providing their lifestyle. Hope to hear and see more of their adventures! Hello and welcome to HH!! Am looking forward to hearing more about them. The Rabbit Welfare Association should be able to point in the direction of any local hopper groups. I am so sorry I missed this hun, a very warm welcome. He's about a year old and we think he's a Satin Angora, and from what I've found on the internet he may be a Chocolate Sable Agouti Siamese - unless anyone can tell me different, but whatever he is he's got lovely colours. He was found roaming free in garden of an empty house, he's been "cared for" for 3 months by a lady who took him in, however he's not seen a vet, been vaccinated or neutered and as far as we know he doesn't have a micro chip. He is severely under weight 50-60% of what he should be, has an injury or cataract in his eye (other-side to the photo) and his fur is very matted. I sat last night and got some of the bigger chunks off but there is more work to do. We're off to see my lovely bunny vet Yvette, tomorrow for a health check, claw clip and vaccine and when he's put on some weight he'll be neutered, micro-chipped, dental-ed etc. Thanks for taking him in. I know the struggles when it comes to Angora coats - good luck - I hope he is easier than Mr Mo! aw.. Jasper is a very handsome fella!